Headcote color coated deck screws provide a great finished look while still maintaining the strength of top-down fasteners. Headcote, which are made from type 305 stainless steel, provides superior protection against staining and corrosion and is the recommended deck fastener for all types of decking materials. These screws also feature a star drive recess for maximum drive power and minimal stripping. Type 305 stainless steel provides superior protection against corrosion and staining. The durable color coating helps make the screws less visible. The new design of the Headcote screws now features a star drive recess to minimize the stripping of the screw head. 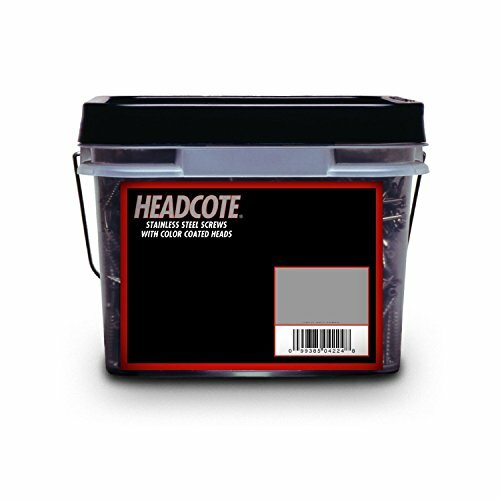 If you have any questions about this product by Headcote, contact us by completing and submitting the form below. If you are looking for a specif part number, please include it with your message.